I have been using Seventh Generation products for years. I love that they are gentle enough for our planet and to use around my children, and that they are tough enough to get the job done, no matter how dirty! Seventh Generation is now partnering with parenting expert Maureen Dennis to encourage all Canadians to detoxify the air, surfaces and materials in their living spaces this spring. * Natural Laundry Detergent in Blue Eucalyptus Lavender – this concentrated detergent was created with care to lift and remove stubborn stains, dirt, and grease. Their unique formula contains plant-derived cleaning agents and enzymes, and works well in both hot and cold water (which is ideal for me since I only wash in cold water). This detergent is non-irritating to skin, free of optical brighteners, free of dyes and synthetic fragrances, and is biodegradable. * Natural Laundry Detergent Packs – I’m a big fan of these packs. Makes laundry so simple! Just drop a pack in with your load of laundry and press start. No measuring needed. I like the cleaning power of these packs, and I like that they are gentle on my clothes and, like the traditional detergent, these packs don’t cause irritation with my sons’ sensitive skin. * Natural Dish Liquid – the plant-derived cleaners in this dish liquid are designed to cut through tough grease. I love the feel of this cleaner – doesn’t leave behind any residue on my dishes or on my hands. * Granite and Stone Cleaner – this premium formula safely cleans and restores food preparation surfaces and leaves all sealed natural stone and man-made surfaces with a like-new glow. It is recommended to use this often to prevent dullness and reduce scratching. * Free & Clear Baby Wipes – I used these all the time when my boys were in diapers. I passed this pack on to my mother who watches my young nephew. These wipes contain no alcohol, synthetic cleaners, dyes or fragrances. They are whitened without chemicals containing chlorine. They are gentle enough for the most sensitive skin. * Natural Dishwasher Detergent (Biodegradable Formula) – this detergent doesn’t need chlorine, phosphates or synthetic fragrances to get the job done. I noticed that my dishes have been clean without residue of food or of the cleaner (something that I’ve noticed with other detergents I’ve used in the past). What’s great about all of the products I received is that they are truly a natural and healthy way to clean – whether it’s your kitchen counter tops or your baby’s bottom! I trust this brand and I think it’s a brand that you can feel good using in your home around your children and pets. Seventh Generation is a company committed to building a toxin-free generation and during the month of May they donated $0.50 per unit sold of every Seventh Generation product to Environmental Defence – the organization that successfully advocated the banning of BPA in baby bottles. I feel good using products from a company who cares not only about their customers, but about the greater good, and the planet that we are leaving behind to generations to come. 1. Open the windows – let the fresh air in! No need for room fresheners or other chemical sprays. 2. Leave shoes at the door – roughly 70% of household dust, pest, pollutants, and dirt are tracked in through the bottom of shoes. 3. Plant more indoor plants – they brighten your home and help absorb impurities in the air. 4. Clean with plant-based or DIY cleaners – choose products free of harsh solvents, dyes, and synthetic fragrances. 5. Sleep on organic/natural fibers – aim for certified organic/natural fibers free of harsh dyes. 6. Detox from the outside in – tackle weeds/pests without chemicals. 7. Choose toys made from natural materials – choose solid woods with non-toxic finishes and natural textiles like organic cotton. Established in 1988, Seventh Generation is committed to “caring today for seven generations of tomorrows” by creating revolutionary product solutions that build new ways to care for ourselves and the world around us. You can find out more about Seventh Generation on their website. You can also find them on Facebook, Twitter, Instagram, YouTube, and Pinterest. I had no idea they made baby wipes, Ill have to buy some! thanks! I’ve heard of these products before but never tried them,, thank you for all the information I think I’ll check them out. I still haven’t tried Seventh Generation products! I keep meaning to, but I don’t really see them in the store when I am shopping. I will definitely make a point of looking for them this time! I have 7th generation dish liquid soap, now i want to try their laundry detergent. I have never heard of these products before but they appear to be the type of of things I prefer. Must give them a try. We use a lot of Seventh Generation products! 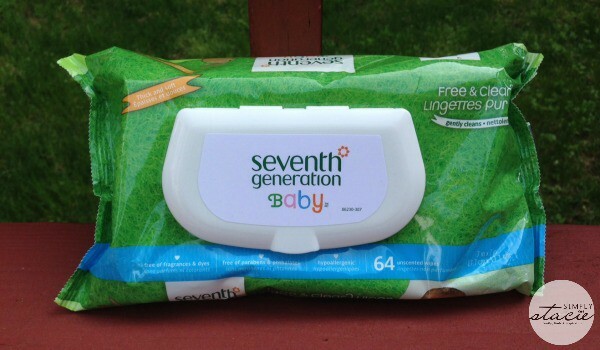 I haven’t tried any Seventh Generation products and I’ve heard plenty about them. This is something I will look for in my next shopping trip. I’m sure the Blue Eucalyptus Lavender detergent smells great! 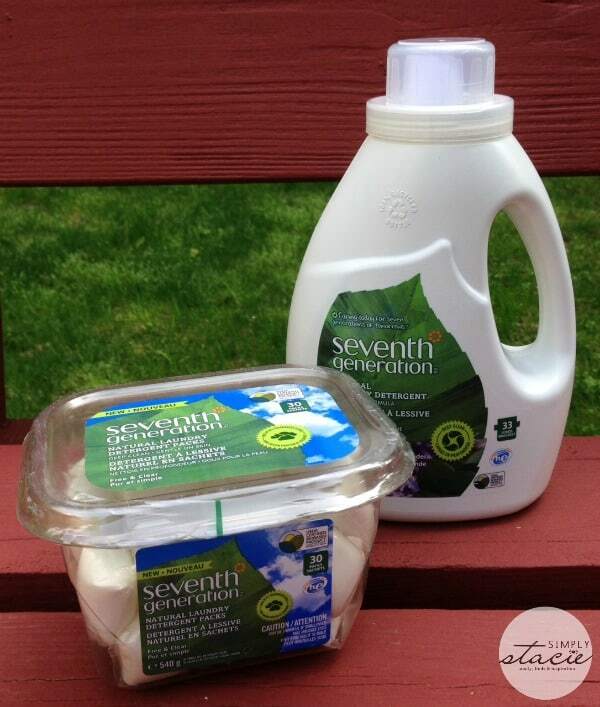 I use Seventh Generation for my laundry and it works just as well as any other detergent. It’s also really concentrated so I don’t have to use much. I am trying to totally switch over to natural products and ditch the chemicals! Seventh Generation is an awesome brand! I didn’t know they made the detergent packs. I always take my shoes off and keep the windows open and have lots of plants. My husband does the dishes in our home, and he swears by Seventh Generation. It produces suds (which is rare with more eco-friendly options) and he feels it cleans better than other options he has tried. I like that phrase “home detox” we do it every now and then, and need to go through again. These are great diy home detox tips. 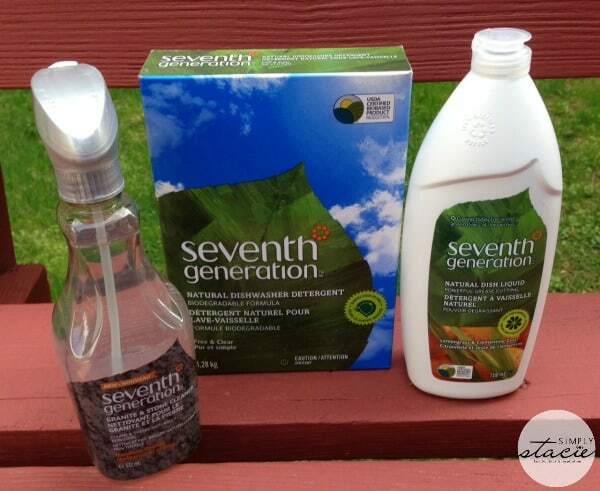 I have heard of Seventh Generation products but have never used them, I would love to give these products a try. Thank you for sharing this post. Both my daughter and I have sensitive skin so these products would be terrific for us to use. My husband is very sensitive to strong “fake” scents in cleaning products. Seventh Generation has been a great addition to our house. We have tried the seventh generation wipes for wiping hands/faces/trays while travelling, but I haven’t tried their detergents yet. I have been using some natural products. Will have to try some of these. Really like the ‘detox tips’ airing out your home is important. We are careful during allergy season, I have way too many allergies and the kids get itchy eyes in the spring.